Cabernet Sauvignon, Merlot, and Cabernet Franc are an excellent combination for a perfectly balanced red blend. The result has soft tannins and a fruity yet elegant flavor. 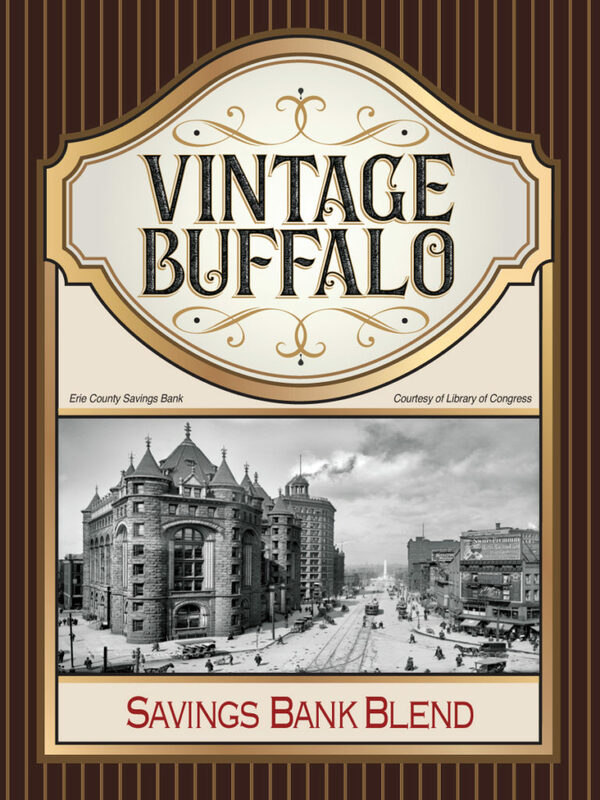 In 1893 the Erie County Savings Bank opened a ten-story headquarters. The castle like structure designed by George B. Post was created in the Romanesque Revival archetectural style. During construction, Thomas Edison was the consulting engineer for electrical installation. Though the building was torn down in 1968, the Lion statues which once were located atop the building’s main entrance pillars are now located on the Buffalo State College campus.